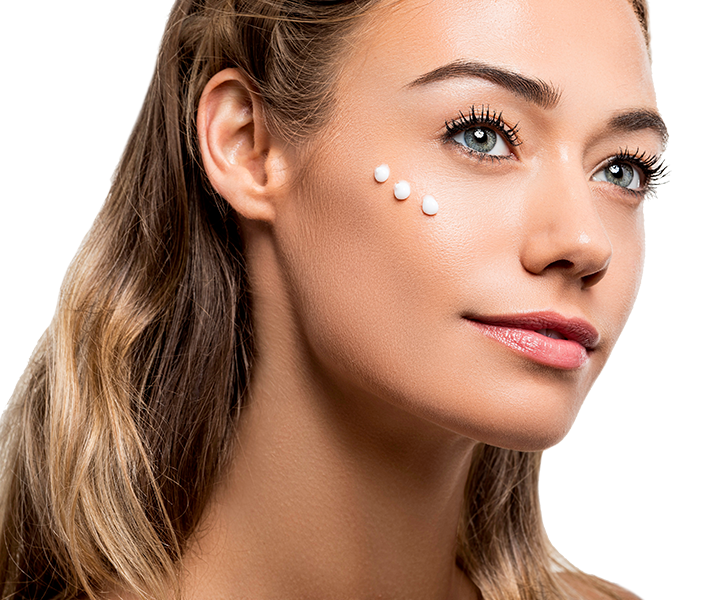 Our Smart Primer hydrates, smooths and prepares your skin for perfect makeup application with our Beautifully Flawless Foundation. "I'd like to prime my whole body with this magic potion! Seriously the best primer I've ever used. A little goes a long way. 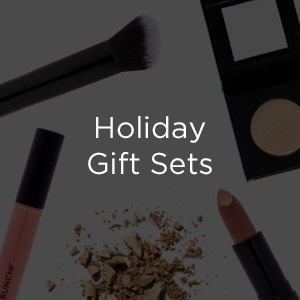 I prime my eyelids & lips, too." 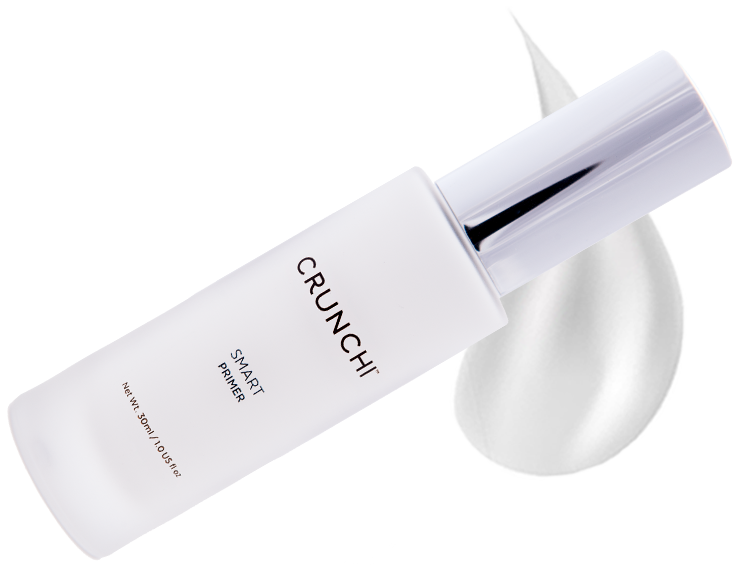 - Donna M.
Rich in Jojoba, Avocado and Rosehip oils, and packed with antioxidants, this ultra light primer promotes radiant, healthy skin. 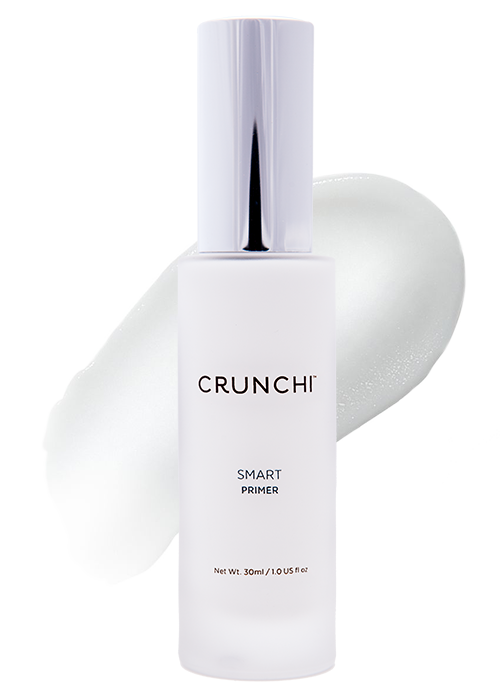 Balanced enough for use on both dry and oily skin, our Smart Primer fills in fine lines and wrinkles while adding lightweight moisture that will last the whole day. 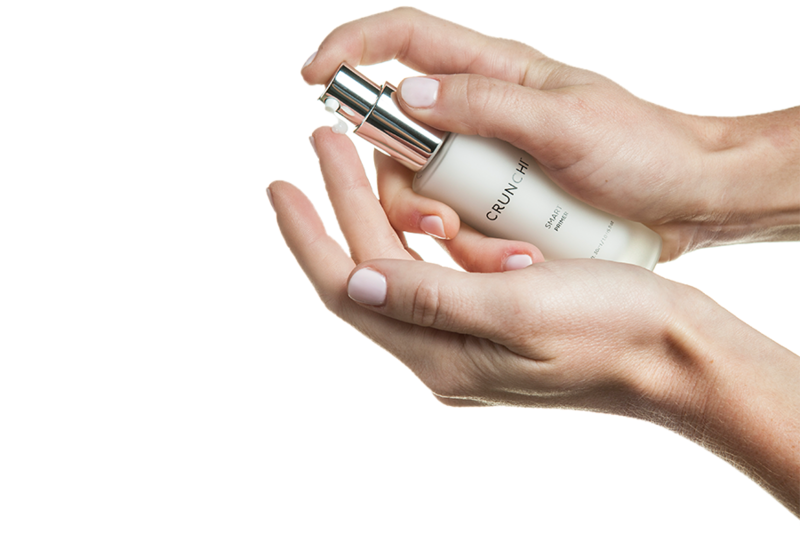 Our Smart Primer comes tightly sealed in an eco-friendly, glass bottle giving you the confidence it will remain toxin free. I absolutely love this primer! It's so natural feeling and so light weight! 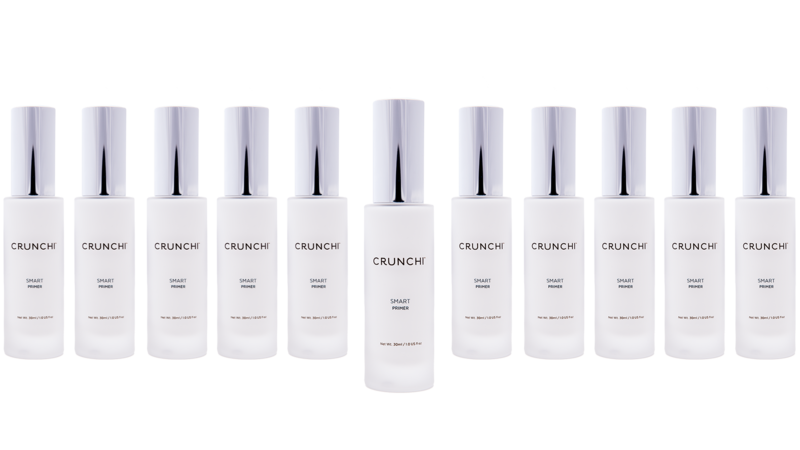 I absolutely love the crunchi primer! 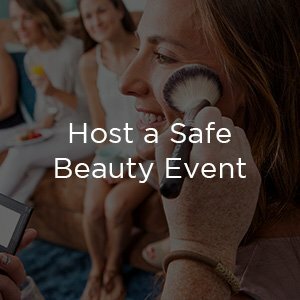 It feels good on, keeps my makeup in place all day, and doesn't break out my very sensitive skin!!! 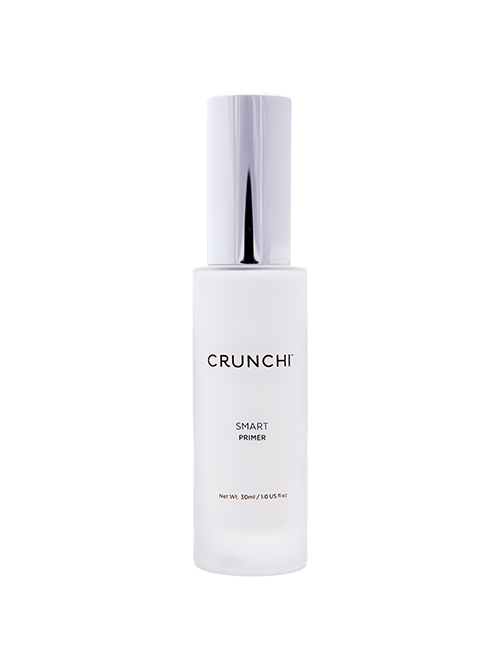 Everyday toxins have met their match with our iconic Crunchi Smart Primer. Rich in Jojoba, Avocado and Rosehip oils, and packed with antioxidants, this ultra light primer promotes radiant, healthy skin. Balanced enough for use on both dry and oily skin, our Smart Primer fills in fine lines and wrinkles while adding lightweight moisture that will last throughout your day. Our Smart Primer hydrates, smoothes and prepares your skin for perfect makeup application with our Beautifully Flawless Foundation. 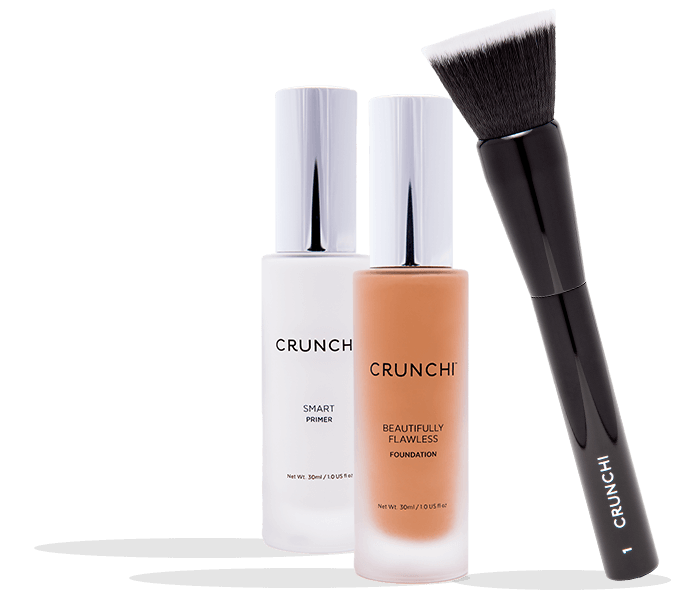 Apply with fingertips before your Crunchi Beautifully Flawless Foundation.